The Shakespeare Schools Festival (SSF), launched in 2000, will this year mark the 400th anniversary of Shakespeare's death with a number of student performances across the UK. The festival, described as the world’s largest youth drama festival, will see over 1,000 schools perform in 150 regional theatres from Aberdeen to Aberdare, Carlisle to Clacton. SSF, a registered charity, is now in its 17th year, having started with a handful of schools in Wales. This year it has already signed up over 1,000 schools, including more than 100 of them for children with special needs. Schools who participate will perform half-hour abridged versions of Shakespeare's plays in local, professional theatres all over the UK. 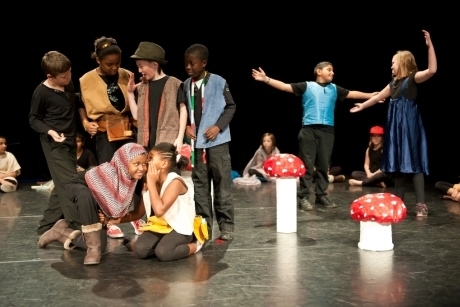 In preparing and performing the plays children will get to learn about Shakespeare's language, themes and characters, as well as participate in the creative and active side of Drama. SSF provides abridged scripts for the play the school is going to perform. Once a teacher has enrolled, they receive ongoing support throughout the process, from signing up to the final live performance. Each school is assigned to an SSF guide who is available to chat and suggest resources throughout the process, and teachers can also attend a director workshop. Each school also gets to take a cast workshop for children and staff with another school in October. These sessions are led by SSF’s theatre professionals. SSF has partnerships with more than 100 regional theatres, and the final performances will all take place in the autumn term. The New Brighton Floral Pavilion Theatre is just one example of a theatre involved in the Shakespeare Schools Festival. It will host a series of performances from schools in the Wirral and from Cheshire on 7th, 8th, 14th and 15th November. Teachers can visit the Shakespeare Schools Festival website and register to take part in the event online. For more information prior to registering, they can call 020-7601 1800 or e-mail enquiries@ssf.uk.com.